In an optical communication system, fiber optic receiver module is used to convert input optical signals into electric signals. 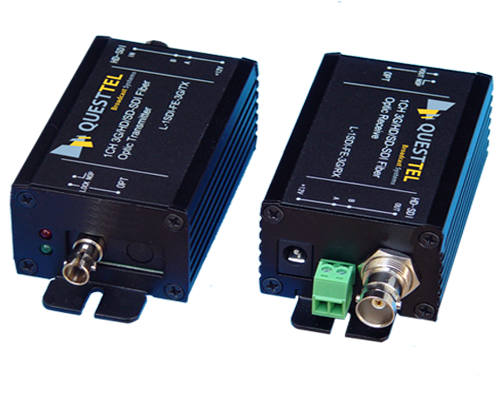 Optical receivers are used to translate pulses of optical energy into equivalent electrical signals. The optical communication pulses produce minute amount of currents in a photosensitive semiconductor. These currents are then amplified and processed by electronic circuits to produce an electrical signal that corresponds to the optical pulses. Fiber optic receivers differentiate different values of some characteristic of the received communication signal in order to distinguish a logical 1 (of a digital transmission) from a logical 0 (of a digital transmission). Optical communication signals that reach fiber optic receivers are attenuated and distorted. The function of a fiber optic transceiver includes conversion of input signal to electrical signal then amplify. Fiber optic transceivers generally include transmitter and receiver components. The transmitter component consists of a laser, a lens assembly, and circuit that is used to drive the laser. The fiber optic receiver consists of a photodiode and a high gain receiver amplifier. 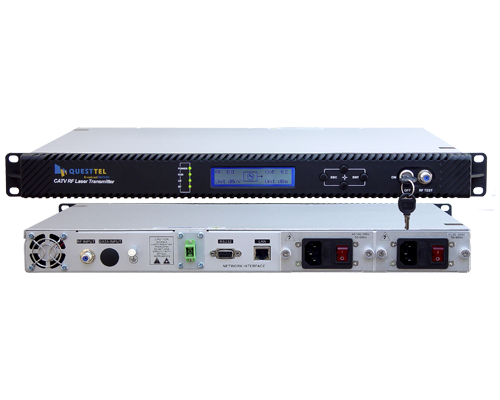 Amplifier is able to perform one or more signal processing functions. Optical detector is a PIN photodiode or APD. The performance of a fiber optic receiver depends on the type of detector used. The amplifier have two stages like the preamplifier and the post-amplifier. As the name indicates the Preamplifier is the first stage of amplification following the optical detector. The remaining stages of amplification required to raise the detector's electrical signal to a level suitable for further signal processing is taken care by the post-amplifier. The dominant contributor of electrical noise in the receiver is preamplifier. Due to this reason, preamplifier’s design has a major influence in determining the sensitivity of the receiver. The output circuitry of a fiber optic receiver processes the amplified signal into a form that is suitable for the interfacing circuitry. This circuitry includes low-pass filters and comparators in digital receivers and includes low-pass filters for analog receivers. 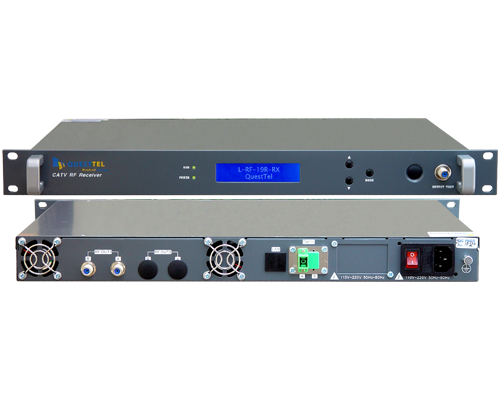 Some of the key operational parameters to determine the receiver performance are receiver sensitivity, bandwidth, and dynamic range. One of the goals in designing an efficient fiber optic receiver is to optimize and fine tune the sensitivity of receiver. Receiver noise from signal-dependent shot noise and thermal noise have to be kept at minimum in order to increase the receiver sensitivity. Optical receiver design criteria also include optimization of the bandwidth and the dynamic range apart from optimizing receiver sensitivity. A receiver with the ability to operate over a wide range of optical power levels can operate efficiently in short as well as long-distance applications.